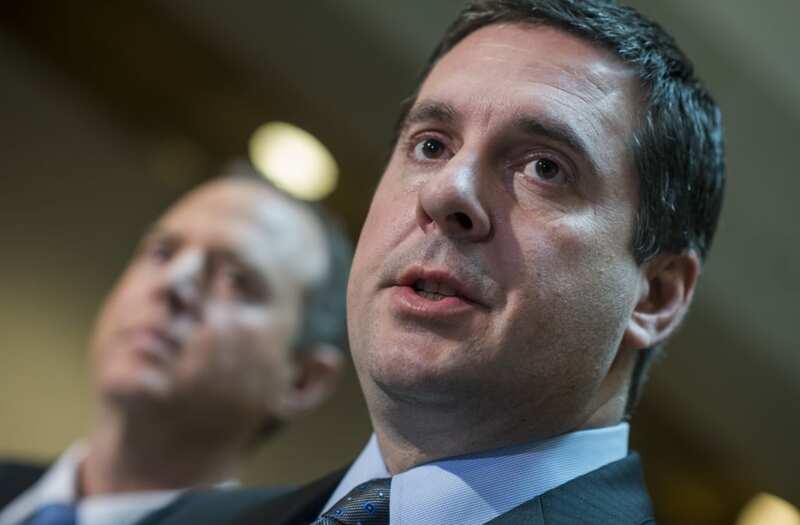 The chairman of the House intelligence committee, Rep. Devin Nunes, said on Wednesday that the committee had not found any evidence to support President Donald Trump's claim that President Barack Obama had Trump Tower phones "tapped" before the election. "We don't have any evidence that took place," Nunes said. "I don't think there was an actual tap of Trump Tower." The announcement came days after Trump tweeted, without evidence, that Obama had Trump Tower's "wires tapped" during the presidential campaign. The White House released a statement shortly afterward "requesting that as part of their investigation into Russian activity, the congressional intelligence committees exercise their oversight authority to determine whether executive branch investigative powers were abused in 2016." "Are you going to take the tweets literally? If you are, clearly the president is wrong," said Nunes, a California Republican. He added, however, that he thinks it's "very possible" that Trump or someone else in the White House may have been swept up in surveillance targeting foreign nationals on US soil. The president does not have the unilateral authority to order a wiretap on suspected foreign spies operating inside the US, experts say. Doing so would be a federal crime that would implicate career civil servants and necessitate a huge cover-up. Rather, law enforcement and intelligence agencies wishing to monitor signal intelligence they deem relevant to an investigation — in this case, Russia's interference in the 2016 election — must obtain a warrant from the Foreign Intelligence Surveillance Court (FISC). Rep. Adam Schiff, the Democratic ranking member of the House Intelligence Committee, said on Wednesday that he has "seen no evidence of illegality of any electronic surveillance" and that "there was no substance to the accusation that President Obama wiretapped Trump Tower." Nunes said FBI Director James Comey had still not told the committee directly whether the bureau had sought and obtained a FISC warrant to surveil anyone who might have communicated with Trump associates during the campaign. Nunes said Comey has agreed to testify at a public House Intelligence Committee hearing next week about the FBI's investigation into Russia's alleged meddling in the 2016 election. The FBI will also brief the Senate Judiciary Committee Wednesday afternoon, according to CNN. Republican Sen. Lindsay Graham, the chair of the Senate Judiciary Committee's Subcommittee on Crime and Terrorism, warned the FBI on Tuesday that it would "screw up big time" if it failed to respond to his subcommittee's letter asking for "copies of any warrant applications and court orders" related to any wiretaps of President Donald Trump.